We had a very, very rainy start to our week. But those few gloriously warm and sunny days in the middle more than made up for it. We took full advantage of the nice weather and set aside our books for two whole days to spend time outside. 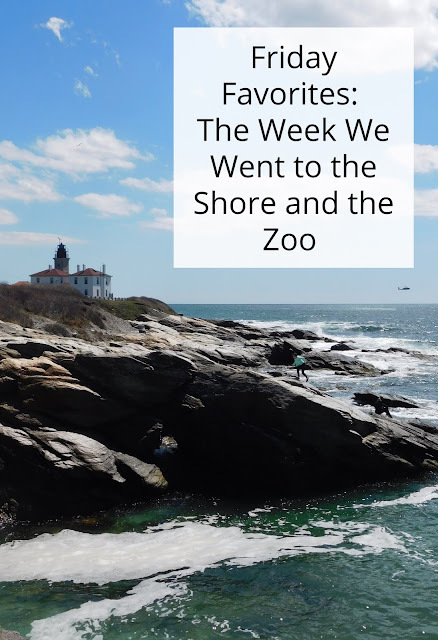 We visited the ocean, the zoo and the botanical gardens! Ian headed to work again on Friday; I just love seeing what a great work ethic he's developing! We lost power in the wee hours of the morning on Saturday and that pretty much started my day at 3 am; while I did not love getting up that early I did enjoy getting so much accomplished in the morning. We cleaned out Evan's room and organized all his Lego sets then went through the drawers of both the younger boys seeing what summer clothes they still needed. It poured all day long. Sunday we managed to squeeze in a nice long family kayak ride before dinner (and in between rainstorms). The younger boys and I went to see the new DisneyNature film Penguins on Monday.